Why Indian Companies Need Domestic Call Center Services? The on-line world is filled with articles and news proclaiming the booming call center outsourcing industry in India. Over the years India has become the number one outsourcing destination for large and small businesses in the US. Even a couple of years ago any domestic call center in India was engaged with only work from the US. But the scenario has changed; today the call centers are not only servicing offshore clients but dealing with the domestic ones as well. Indian business world has realized the need of good customer support. The companies which would earlier rely on their in-house staff to carry out the customer support tasks are today getting in touch with the domestic call centers. But, what has made call centers essential partners for the Indian businesses? The Indian businesses are realizing the importance of incorporating latest technologies in all their business activities. Technology can provide a differentiator in the heavily contested business sector. But technology comes with high initial expenses. Often it is not possible for a business owner to such high initial expenditure. This is where the domestic call centers come in handy. The call centers use the latest technologies to support their clients. By hiring a call center you do not have to spend exorbitantly. You get a readymade technological environment. From call breaks to unprofessional answering everything can create a negative impact on your business. Many Indian businesses still rely on their inhouse teams. Problem with such a practice is that you do not have the infrastructure or experience to cater satisfaction to the customers. When a customer calls in at customer support center, the person expects to get quick solutions. Quick solutions or satisfactory answers can be given only by experienced agents who go through thorough training. The technology implementations at a domestic call center in Noida, Gurgaon or Bangalore make sure that there are least call breaks. If a brand is able to find a place in the heart of their customers, then the brand is surely on its way up. Rapport building is essential for business growth. Only experienced and well trained call center agents have the confidence, knowledge and courtesy to please customers and create a long term bonding. An agent needs to greet the caller, address him/her by name and then offer a viable solution to the problems. If agents can offer first contact resolution, the customers will be pleased and that would help in building loyal customers. Modern Indians are busy; they are running around all day to meet their professional commitments. In such a scenario asking the customers to call in at the customer support center during normal office hours is not wise. Round the clock customer support is the need of the hour. Inhouse teams only work during normal office hours. By employing a domestic call center in Delhi NCR you make sure that the customers get support as and when they need it. This small convenience can go a long way in keeping the customers happy. 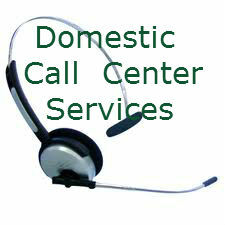 Domestic call centers also give brands a chance to promote their business, get leads and sales. The experienced agents know the tone and manner in which sales approaches should be made. They are masters at convincing the person on the other end. This is why brands employing call centers in their sales mix are getting good revenue returns. India is a land of diversity, there are many languages spoken. The reputed call centers have a large workforce which means no matter what language is spoken from the other end, there will be an agent who can tackle the language. Often the language barrier can create negative impressions upon a brand. That won’t happen when there is a domestic call center handling your process. As you can see partnering with a reputed domestic call center in India is the essential for modern day businesses who want to keep customers happy and grow their business.